A friend of mine once asked me, “What do the Han Dynasty of China, the Roman Empire and the ‘Iliad’ of Homer have in common? –The lottery”! I felt fascinated because I had thought the term ‘lottery’ was coined not long ago, and I was so wrong! Lottery has come a very long way and nowadays national lotteries are present on most countries of the world. But as the Internet era evolves, the lottery system also did. If you paid just a little attention to ads on websites, you would notice tons of ads about online lottery. The big deal for some people remains whether they prefer the online lottery as opposed to the traditional offline lottery. There are arguments supporting both, but they also have their drawbacks. What is the most important though is that they’re both very exciting and amusing. 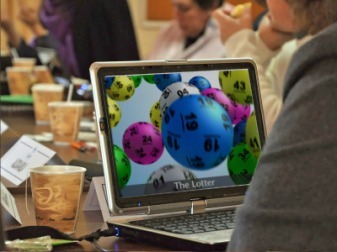 The online lotteries, which were introduced to the wide audience in recent times, offer people the convenience of playing with their odds from home. This is especially rewarding if you live in a small town and have to wait a long time in line at the local grocery store for lottery tickets. The offline lotteries, which most of the time offer a larger jackpot, are the first choice for some other people. This comes because they trust the system of the offline lottery rather than the online system. The jackpot is often much higher than the online ones and this is their hugest benefit from them. Just a couple of weeks ago, a Spanish citizen won $173 million. Imagine if he had won the online lottery instead, the jackpot would not be anywhere near that amount. I personally discovered the online lottery in 2005 and was amazed by the idea. I was used to picking up a lottery ticket every once in a while, but I had never thought I would be able to participate in the game online. As soon as I found out about the Internet lottery, I immediately bought a few tickets (and of course, won nothing). But I must admit it felt much better than the offline lottery. That is why I now prefer the Internet lottery to the conventional one.